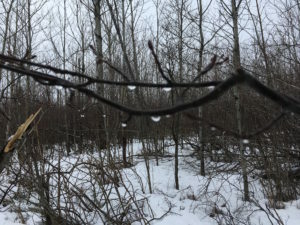 Spring is here and on the Gunflint Trail that means, “Mud Season” Of course the snow doesn’t magically disappear overnight replaced by bone dry ground come morning. If only it would be that easy. Instead the shovels remain propped against the side of the building right next to the rakes that are anxiously awaiting their season. It will be awhile before we can rake but just seeming them has a way of lifting ones spirits. Spring is here, summer is coming.